Maruti Suzuki is among the biggest brand for manufacturing automobiles. It is one of the most famous brands among people. The cars designed by the Maruti Suzuki are providing excellent efficiency of fuel along with the latest features of the cat. Maruti Suzuki cars are very much reasonable. 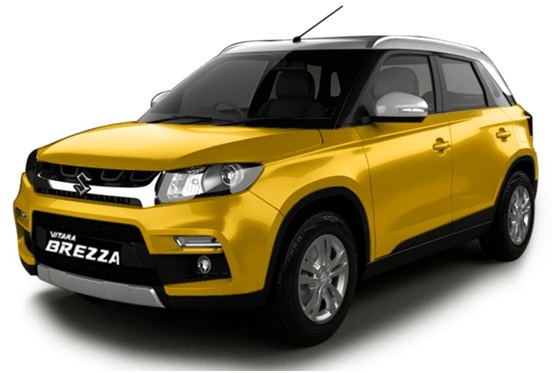 All new Maruti Suzuki Vitara Brezza come up with Exclusive features which capture the attention of the customers. Maruti Suzuki Vitara Brezza is very much spacious which suitable for the family. It is giving tough competition in the market. The major variant of the Maruti Vitara Brezza includes LDI, VDI, ZDI, and ZDI+. Maruti Suzuki Vitara Brezza price lies in between the range of Rs. 7.67 to 10.64 Lakh. One can choose the car according to your choice. Maruti Suzuki Vitara Brezza comes in many colors. Checkout recently launched Maruti Suzuki Baleno in India.